The state of California has a well-documented history as a supply line for many drug cartels running out of Mexico. This means that illegal drugs are often freely available, in spite of law enforcement’s efforts to constantly shut down wholesale and retail movement. That said, Mexico’s proximity should not generate the view that it is the source of all of San Diego’s ills. In addition, a rising trend in sunny San Diego and other Californian cities is the growing admission into rehabilitation of prescription drug users. The abuse of prescription drugs or a graduation from prescription drugs to heroin and other opioid-type substances defines these admissions and is being recorded across a wide age group, from children as young as 11 through to pensioners in their eighties. Methamphetamine use is also on the rise in San Diego over the last few years, from a relative stability documented between 2012 – 2014. San Diego’s lengthy coastline and high air and land traveler volumes make curtailing drug trafficking a full-time job and the city faces many of the same challenges as New York and other East Coast cities that have similar population, travel and topographical dynamics. Visitor records show that 2016 was a record year, with those figures entrenched for 2017. There is now also a growing awareness among medical professionals of the unwelcome rise in prescription drug abuse, with many forums and associations taking concrete steps to educate all parties and combat a scourge that is too easily masked or overlooked. Figures from the San Diego Prescription Drug Abuse Medical Task Force indicate that San Diego accounts for some 10 percent of California state’s prescription drug deaths each year. If you live in San Diego, and have fallen victim to substance abuse don’t hesitate to seek treatment. There are enormous resources in at your disposal. Known as a beautiful city that has frequent light earthquakes, around 25 percent of San Diego’s population is younger than 30 years of age. While it might be presumed that prescription medication abuse is rising on the back of an aging population, less than 12 percent of people living in and around the city are over the age of 64. San Diego can be described as a city with an aging population, but it is a very slow climb, for a variety of reasons. This points to an alarming reality of mostly middle-aged, productive citizens accounting for the rise in prescription drug abuse as well as an overall contribution to broad statistics. Widely seen and ranked as a peaceable living city, with a great climate and a strong sports focus too, English predominates as the local language, with large Spanish, Tagalog, Vietnamese and Chinese-speaking populations. San Diego unemployment figures hover around 3.4 percent, which is lower than both the state and national average. The typical associations of poverty, crime and drug use and trade are not a pronounced influence on city drug statistics. 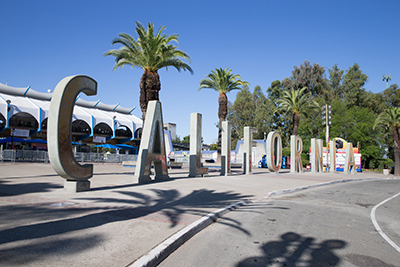 Rather, San Diego’s drug abuse issues are typical for most large, modern cities and, rather, its proximity to magnets like Los Angeles to the north and the Nevada state gambling mecca of Los Vegas to the east exacerbate the presence of illegal drugs. That said, the often unseen issue of prescription drug abuse is not influenced by the city being a transit route, but is rather a product of the generic factors that will push an otherwise productive life towards despair and alienation. The starting point for recovery from a life of addiction is always the moment of active realization, where someone accepts that their life has become dark and unmanageable because of a substance dependency. Any number of factors can bring a person to this point. The fortunate ones are beset with the dawning awareness of the fact that substance has begun controlling their lives and they accept that it’s something that needs redress. Those less fortunate are often sentenced in courts to partake in a rehabilitation program, or succumb to collapse or serious injury that disrupts their lives, often with tragic consequences. Either way, the road to healing starts with an acceptance that substance abuse is not something that can be enabled anymore. A memory of what was, sometimes personal interaction with family and friends, or even an innate determination in spite of what has gone before can propel someone to seek help. Most sufferers live with the knowledge of the unhappiness of their condition, but it takes that moment in which realization and an even momentary surge of pro-activity combine, that will lead to a phone call that makes the difference between healing and ongoing suffering. San Diego drug law enforcement is extensive and the city often makes national news for particularly young offenders and their stories. The DEA has an extensive presence in San Diego, in part because of the supply chains running from neighbouring countries. Courts are neither lenient nor particularly aggressive in sentencing offenders, when compared to the USA as a whole, but students and other young people often get caught up in a fairly mechanized judicial system, with unfortunate results. There are many options on rehabilitation in San Diego, with numerous facilities available . The first step to recovery is to schedule an appointment with a rehabilitation center. Even after the initial phone call, it’s usual that many things will come into focus. The reality of what one is engaging in can be intimidating, but more usually empowering, as it allows much of the veneer of normality that masks addiction to fall away. Many treatment options are offered for the recovering sufferer and an initial call to a rehabilitation center will outline these while scheduling an appointment for an assessment. In consultation with center staff, an assessment is made of all relevant factors when considering inpatient, outpatient or otherwise scheduled treatment. It’s important to remember that many options exist and that treatment is geared up towards a patient’s individual lifestyle and needs. A rehabilitation center is a broadly empowering space where patients will find professional treatment and fellows. This helps to reinforce the fact that no one is alone and breaks the isolation of substance abuse. Someone attending the initial assessment at a recovery center will be able to decide on a fitting plan of rehabilitation in a welcoming environment. At the assessment, cost and budgetary considerations can be discussed after determining the nature, extent and remedy of the abuse. Many medical aid schemes make provision for rehabilitation attendance. The rehabilitation center staff will have a detailed understanding of what can be covered, the associated costs and any other relevant administrative details. For people about the enter a program of rehabilitation, the hours or days preceding can be a valuable time to prepare themselves mentally and practically for the process they’re about to start. People might want to ensure their roles in daily life are filled in their absence or otherwise make arrangements for the fact that they’ll be absent for a while. Family and friends can be a support during rehabilitation and the time before entering a facility can allow a patient to make people aware of what’s about to happen. This is all a matter of personal preference, of course, but mental preparedness is important prior to embarking upon the cleansing journey. Anxiety and relief are usually both present at this stage, but the initial assessment can also provide a patient with their first glimpse of a very welcome, safe and structured road to well-being. RTC stands for Residential Treatment and refers to a sufferer being admitted to a rehabilitation facility as an inpatient. After consultation with the center staff, many decide that this is the best route for them to follow. A wholesale inpatient admission is often rewarded with much relief, as so much falls away simply by checking in. RTC comes with on-hand medical and counselling staff, a change in habits and behavior and the camaraderie of one’s fellows. Many of the same benefits are enjoyed with PHP (Partial Hospitalization) and, for a variety of reasons, the assessment might conclude that this is the best route to follow. While the patient may spend the days at the center and even participate in group sessions in the evenings, PHP usually involves the patient sleeping at home at night. The hours spent on the facility’s premises during the day are also tailored to individual needs. 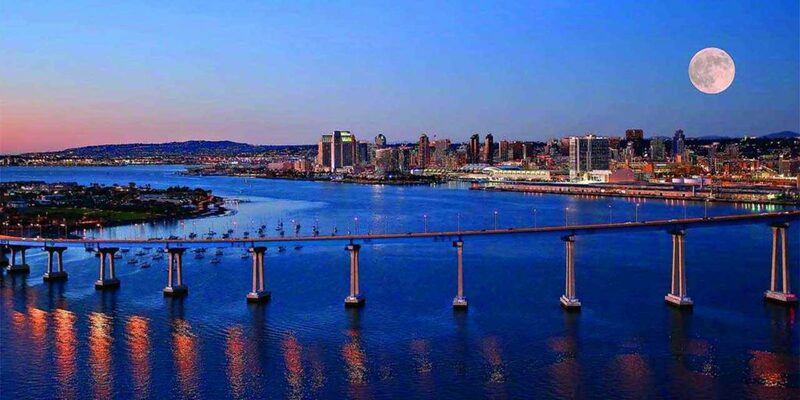 San Diego has a great variety of options from a great number of professional facilities, and these can be investigated prior to finalizing the route to follow. Between 2013 and 2014 heroin-related hospital admissions in San Diego shot up 10 percent. Figures vary year on year but, for a number of reasons – often the contact with medical professionals at the ER after an accident or collapse – many addicts who have been through ER enter an outpatient program (IOP) after this. Outpatient treatment is the route chosen by many in San Diego to heal from addiction, and many aspects of inpatient treatment persist in an outpatient program. There is a greater management capacity asked of outpatients as they are not bound to the center as an inpatient is, but the daily care and counselling and other aspects of inpatient care is offered on an outpatient basis too. In an outpatient program, the same commitment to healing is needed for successfully shed the weight of addiction as that of any inpatient, but contact with family and home is enabled and an outpatient will also frequently return to the rehabilitation facility in the evenings after visiting during the day. Evening activities are typically group counselling or sharing, although individual counselling, yoga therapy or other healthy activities are also practiced. An outpatient usually feels empowered by effecting their healing on an outpatient basis, as there is strong support but also personal management needed to consciously live a healthy life. Outpatient treatment is not only employed at the outset of recovery, but also post recover for in- and outpatients and can persist for months or years. Many people who have recovered from substance abuse find it hugely beneficial to maintain their participation in counselling or support groups after healing, as the ongoing support and consciousness of what went before make their well-being so much more fulfilling. Personal considerations are weighed at an initial assessment to determine the best route for a person’s recovery and it’s important that they choose a route that is best suited to their personal circumstances and ultimate healing. Not only is quitting substance abuse possible, the options on routes to recovery vary between IOP, PHP and RTC, and many combinations of services and activities is possible. A complete program of recovery can be tailored to meet anyone’s needs. Many addiction sufferers each year attain some kind of cessation on their own. This is atypical as, by definition, addiction implies precisely the kind of dis-empowerment that perpetuates a habit. That said, those who find their own even partial route to healing always benefit from participation in recovery center activities to effect complete healing. All patients of addiction need to detox themselves over a period of time through dietary considerations and regimes, and physical exercise. There is term medical professionals use called homeostasis. This is the daily or otherwise regular “balance” of the body, and an addict’s homeostasis is such that it copes with the constant substance abuse and physiologically adjusts to it. When the abuse ends, it’s important that a healthy homeostasis is restored through purging toxins from the system and affirming a healthy balance in the body. The term “detox” is applied to both inpatient detoxification and home-based dieting, juicing and exercise. For the purposes of rehabilitation, a detox involves the quitting of substance combined with beneficial eating and other practices that allow the body to shed the grime of substance abuse. As recovery is usually most successful when treating a person as a whole – emotional, spiritual and physical – eating habits, detoxifying practices and exercise are all important on the road to healing. There is another important aspect to a detox, and that is the fact that it often becomes a part of a new healthy routine. Beneficial routines are an essential tool for many as they recover, and daily juice or other healthy intakes, exercise and mildly purging practices often become the new habit of health and well-being, replacing former self-destructive behaviour. All rehabilitation centers will have facilities where patients can gym, swim, play group sports or otherwise enjoy an activity that, when combined with right eating and a focus on expelling toxins from the body, are a great aid to recovery. At times the process of detoxing can make a person feel nauseous or otherwise fatigued. The practice is best effected under the supervision of professional caregivers. Professional helpers will also know what to include and what to avoid to address a patient’s unique addiction history, enabling a targeted program of manageable healing that avoids side-effects and unnecessary discomfort. A patient will need some details on hand when visiting a rehabilitation center for the initial assessment. Every year in San Diego thousands seek help for substance addiction. The process of assessment is fluid and center staff will facilitate inquiries about health insurance and other practical considerations. Typically, the contact details of the family doctor and other health providers are going to be needed. Emergency contact details and details of current conditions and medication are also required, although the initial assessment will usually involve a medical examination too. In the welcoming environment of a recovery center, all of these practical details can be ironed out at the initial assessment to facilitate admission and healing. In rehabilitation, many extramural and therapeutic activities are on offer to patients. Daily cardio or yoga can greatly enhance a person’s sense of well-being in the transition to health. Other therapies like reiki, sports massage and art shop help to establish a sense of routine, camaraderie and normality. Positive and enjoyable activities aid a patient’s cheer as well as paying practical benefits. During rehabilitation, there will also be some preparation for the road ahead. While it’s usual that someone leaving rehab goes on to live a normal, healthy and productive life, during rehabilitation the well-being that is growing within a person is cemented as a reality by some careful planning of future activities. Most centers will also offer peripheral services like safe drivers and chaperones for pertinent occasions. This all goes toward a successful journeying on and a substance-free existence forever after. Other aspects of a modern life that a rehabilitated person will have to face are addressed through workshops on relationships, personal care and anger management, plus many other topics. Indeed, a person entering a rehab center is upskilled in many essentials they’ll need for life post recovery. The reason San Diego’s recovery centers are so effective in dealing with addiction is because they’ve adopted a holistic, rounded approach to a patient’s future well-being. While PHP and IOP are certainly preferable for some, the benefits and support for an inpatient are wholesale. Since establishing a healthy daily routine is such a noted and necessary component of a substance-free life after recovery, treatment at a recovery center builds many social bonds that speak to establishing a healthy mindset and enabling future habits. At times a patient will find themselves in recovery and also facing DUI or other drug-related charges. Very often, a patient’s enrolment in recovery goes a long way in court and the rehabilitation center will often have a strong support system for those who need to appear in court, sometimes during rehabilitation. Not only can the center staff make a case for leniency based on the patient’s willingness to undergo treatment, they also bring a large measure of support to the process. Enabling leniency in the form of non-restrictive sentencing can soften the disruption a sufferer would otherwise feel and help break the bonds of addiction so that a sober lifestyle can emerge. A recovery center will not only have detailed understanding of laws surrounding substance, but will also have an astute reading of local judicial processes and is typically a good partner to have alongside one in court. America has a bastion of health care professionals working in the realm of recovery, and San Diego’s fraternity is among the most extensive and experienced in the country. Professional support for an inpatient will be of myriad form and outpatients too can avail themselves of a structured program of counseling to assist them in a growing, healthy awareness of life beyond addiction. The memories and associations taken from the recovery center as well as the activities and regular counsel a patient experiences while interned, all go towards perpetual success on the road to rehabilitation. Tying into a theme of persistent, healthy routine, aftercare counseling and support can be an essential tool to employ in pursuit of health and well-being, especially once a person has been discharged. San Diego has many well-known associations that offer regular group meetings on a voluntary participation basis. Usually encompassing a step-program, joining a group one feels comfortable with after leaving the rehabilitation center is actively encouraged. Participation in regular group meetings ensures a sense of managed well-being and many who long ago lost any desire to repeat addiction will still be involved years down the line, as the tremendous sharing and support of these groups affect many for the better and become a wealth of camaraderie. Another major benefit of group interaction is that a recovered patient can team up with a sponsor. Finding a person with whom one feels an affinity is rewarding, and they will then become a go-to person in life beyond addiction. When temptation calls or a former addict simply wants some motivational company, the sponsor system is invaluable and typically encouraged by most external groups as well as sanctioned by most care centers. The sponsorship works both ways, and a former inpatient might find themselves one day supporting their sponsor or others still suffering, if they feel able. Various life skills and aids are taken away by a discharged patient when they leave the rehabilitation center. There are extensive long-term programs that encourage lifelong participation, all geared towards affirming a substance-free existence and providing much support to former inpatients. Recovering from addiction is not merely a moment in time, but rather the practices and habits that will foster clean living and a return to well-being and happiness. In- and outpatients are encouraged always to involve themselves in the training and discussions that the rehabilitation center offers and may even, in time, find themselves addressing an intake and sharing their experiences on the road to recovery. It’s essential that a person contemplating entering rehabilitation do some research on available options. Usually, a person will have a number of telephonic interviews and even a few assessment sessions before making up their mind about which center to visit and which route to follow back to health. We can assist you in all of the inquiries and checklists you might have. If you’re ready to start the journey back to health and happiness, contact us and one of our consultants will aid you through the process.